The oil crash could soon claim its biggest victim yet. Shale oil driller SandRidge Energy (SD) warned there was "substantial doubt" it would survive the oil downturn. The Oklahoma City company said this week it is exploring a potential Chapter 11 bankruptcy filing. 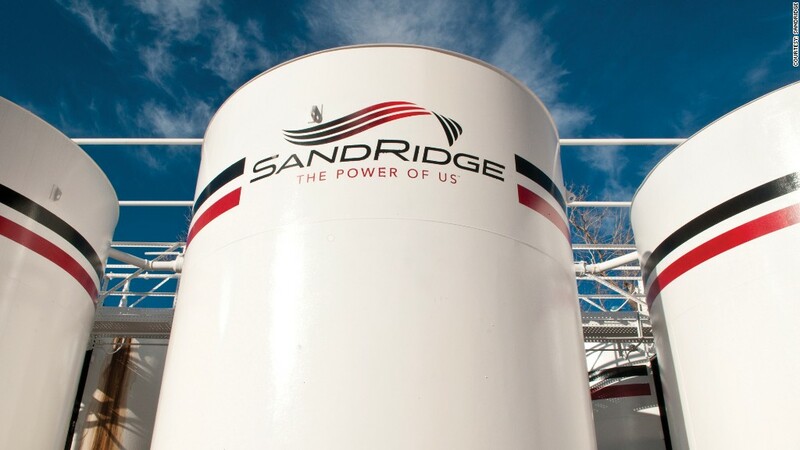 Based on its $3.6 billion of debt, SandRidge would be the biggest North American oil-focused company to go bust during the current downturn, according to a CNNMoney analysis of stats compiled by law firm Haynes and Boone. 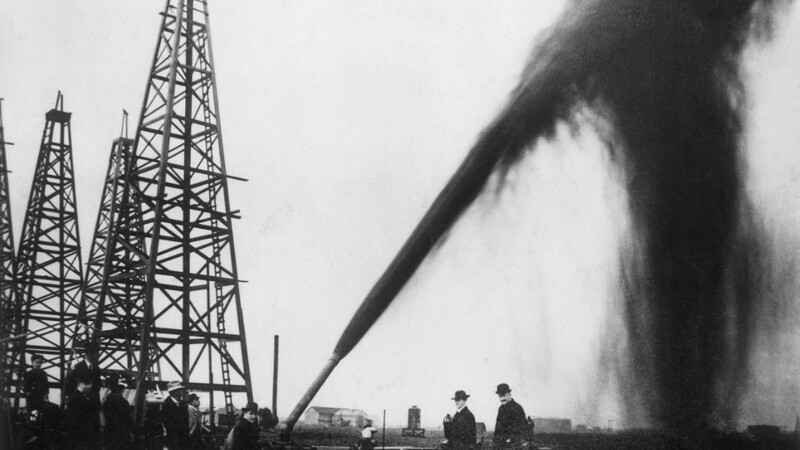 SandRidge epitomizes the oil industry's boom-to-bust nature. The high-profile shale driller loaded up on debt when the going was good to pursue aggressive growth plans. Now it's drowning under the weight of that debt, as oil prices have collapsed. "They borrowed money with $100 oil and they have to repay it with $40 oil. That equation doesn't really work," said Buddy Clark, a partner at Haynes and Boone and 33-year veteran of the energy finance space. SandRidge cited "declining industry conditions" as it warned of a potential default on its debt. Like other oil companies, SandRidge is scrambling to slash costs and raise money by selling assets. The driller also cut its capital spending by 69% in 2016 and tapped a $489 million credit line to help it survive. But SandRidge is struggling mightily. Its oil production plunged by 32% in the fourth quarter. It sold each barrel of oil for just $46 last year, compared with $90 in 2014. And its natural gas revenue has also been in decline because of cheap gas prices. The writing has been on the wall for some time for SandRidge. The company traded at $80 a share in 2008 but today its shares are worth just 7 cents. SandRidge was co-founded in 2006 by Tom Ward, who was ousted as CEO in 2013 amid a fight with activists. Ward also helped start Chesapeake Energy (CHK), a pioneer in the shale oil and gas boom. Former Chesapeake CEO and co-founder Aubrey McClendon died in a fiery car wreck earlier this year after being indicted for allegedly rigging drilling auctions. Already, 51 North American oil and gas drillers have filed for bankruptcy since the start of 2015, including nine this year, Haynes and Boone stats show. SandRidge would be the second-biggest driller to go bust based on debt outstanding. The only larger filing would be Samson Resources, which listed $4.3 billion of debt when it filed in September. However, Samson generated two-thirds of its revenue from natural gas not oil, according to its most recent filings. Even though oil prices have stopped crashing and stabilized around $40 a barrel, Clark thinks more shoes will drop. "There will be a number of billion-dollar plus bankruptcies to come," he said.